Technomate V-Box 2 with Remote control + 5 Volts Output. Ideal to use the 5 Volts output mainly with Gregorian Motorised systems. 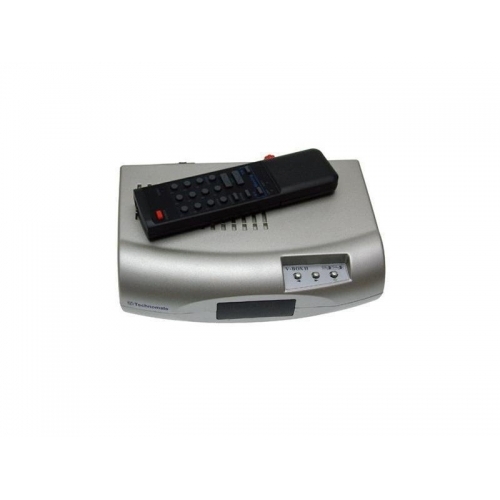 Like the original V-Box this unit can take DiSEqC commands from your satellite receiver and convert them into 36V pulse and sensor to store positions .